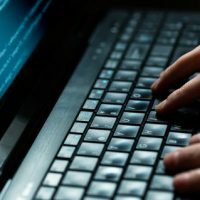 Security breaches and hacking, in which criminals gather sensitive personal information via your computer, rose to an alarming level during 2017. Between the Equifax breach, massive system shut downs, and accusations of Russian hackers in the 2016 election, these incidents are increasingly becoming part of our way of life. As more and more people lose their life savings due to identity theft and fraud, one way to protect your assets is being aware of the areas that could be making you vulnerable. Hackers use emails, pop up advertisement, and lapses in your computer’s security system to target you as a victim, potentially stealing your identity and your assets. According to a CNN Tech report, advances in technology have extended the reach of these criminals into your actual home. Smart home utility connectors, which allow settings for heat, air conditioning, and lights to be changed remotely, leaving consumers vulnerable to criminals who are devoted to wreaking havoc and creating fear. Smart TVs, which often feature built in cameras that can be hacked into and used to invade your family’s privacy. Smart home security, including alarm systems, pin codes entryways, which can be overridden, granting access to thieves. Smart cars, with ‘self-driving’ features which can be manipulated to cause accidents. Smart kitchen appliances, which can grant a hacker access into your wifi system, exposing passwords for email and financial accounts. Protecting yourself does not mean you need to get rid of all of your favorite high tech home features. Creating strong wifi passwords that feature multiple numbers, symbols, and both upper and lowercase letters along with setting up two-factor verification, goes a long way to keeping your personal information safe. Back up everything on your computer to an external drive, which will make you less vulnerable to ransomware attacks. To protect against constantly new and changing threats, make sure all your devices are updating regularly and install the latest operating systems. Avoid installing questionable software programs and games, which hackers often use to gain ‘back door’ entry to your system. Contact manufacturers to change the default passwords on all your personal and home devices. At Cavallo & Cavallo, we know that advances in technology require changes in the way you manage your money. Staying up to date on the latest computer threats is just one of the ways we work to keep you safe. To discuss additional ways to ensure your assets and property are protected, call or contact our New York asset protection attorneys online and request a consultation in our Bronx or New Rochelle office today.